It's the dawn of the Justice League! 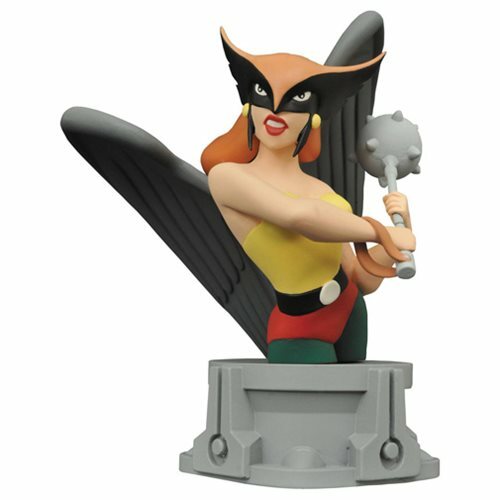 Hawkgirl leads the way for busts based on the classic Justice League cartoon! Swinging her mace, Shayera flies into action as an approximately 6-inch resin bust, set atop a pedestal inspired by the Justice League's Watchtower satellite. The Justice League: The Animated Series Hawkgirl Resin Bust is limited to only 3,000 pieces. Sculpted by Varner Studios, she comes packaged with a certificate of authenticity in a full-color box. Ages 13 and up.